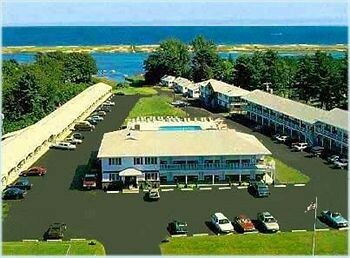 Property Location When you stay at Colonial Village Resort in Ogunquit, you&apos;ll be by the ocean and convenient to Footbridge Beach and Leavitt Fine Arts Theatre. This motel is within close proximity of Moody Beach and Blacksmiths Mall.Rooms Make yourself at home in one of the 71 air-conditioned rooms featuring refrigerators and microwaves. Cable television is provided for your entertainment. Bathrooms have shower/tub combinations and hair dryers. Conveniences include phones with free local calls, and housekeeping is provided daily.Rec, Spa, Premium Amenities Take advantage of recreational opportunities offered, including an indoor pool, a spa tub, and a fitness center. This motel also features complimentary wireless Internet access, concierge services, and an arcade/game room.Dining A complimentary continental breakfast is included.Business, Other Amenities Featured amenities include express check-out and laundry facilities. Free self parking is available onsite.